In my opinion, holiday baking is not complete without some sugar cookies. However, in the past, one of my least favorite cookies was the sugar cookie - that is, until I tried this cookie! I've made some sugar cookies that I've liked, but never one that completely wowed me. This year along with my mother-in-law and sister-in-law we made Sugar Cookie Place Cards for Christmas dinner and so I wanted a recipe that would bring the W-O-W factor, plus the decorations that would produce the cute factor! Not needing to look far, I decided to try Annie's favorite sugar cookie recipe. She has a few variations, but considering it was Christmas I decided to go with the original almond flavoring. With the exception of trying out the other flavor variations, I intend on this recipe being my standby sugar cookie recipe. I love the flavor the powdered sugar provided and the hint of almond was fantastic! Not to mention the fact the my husband kept raving about them, insisting I eat mine immediately after dinner despite the fact that I was stuffed and "saving it for later". 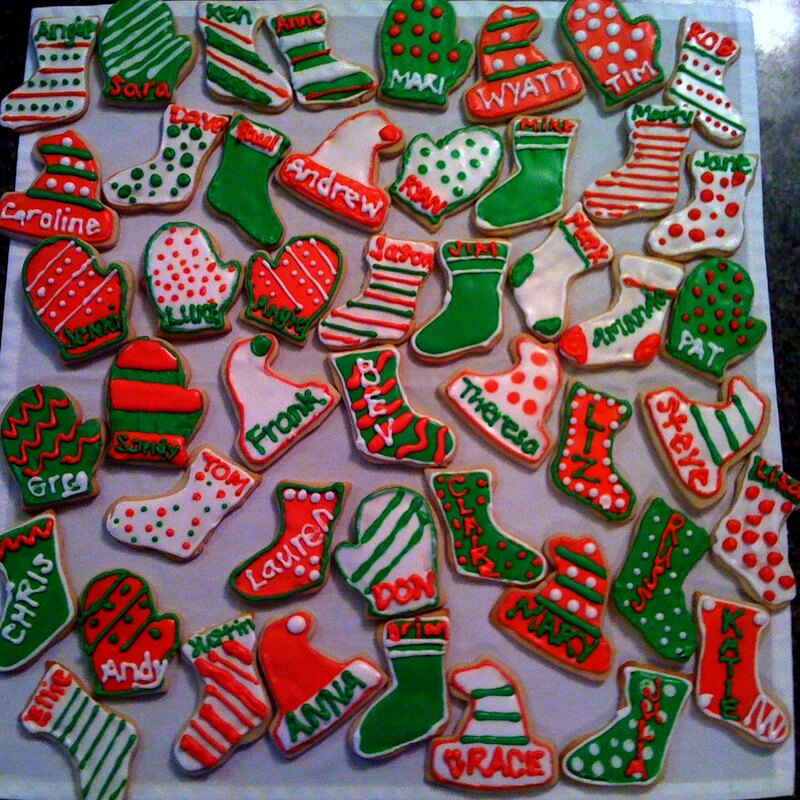 Plus, the bonus is that the cookies held their shape perfectly which makes it easier to decorate. Speaking of decorating - I didn't get pictures of the process like I intended to so I was unable to do a tutorial on decorating with royal icing. Check out Annie's fantastic tutorial here. Cream butter and add powdered sugar. Blend in egg, almond extract, vanilla, salt and sifted flour. Chill dough until firm (a few hours). Roll to 1/4" thickness on well-floured surface. Cut with cookies to desired shapes. Place on cookie sheets lined with parchment paper. Bake at 375 degrees for 8-10 minutes. Cookies should not brown. Allow to cool completely before decorating. These look fabulous! 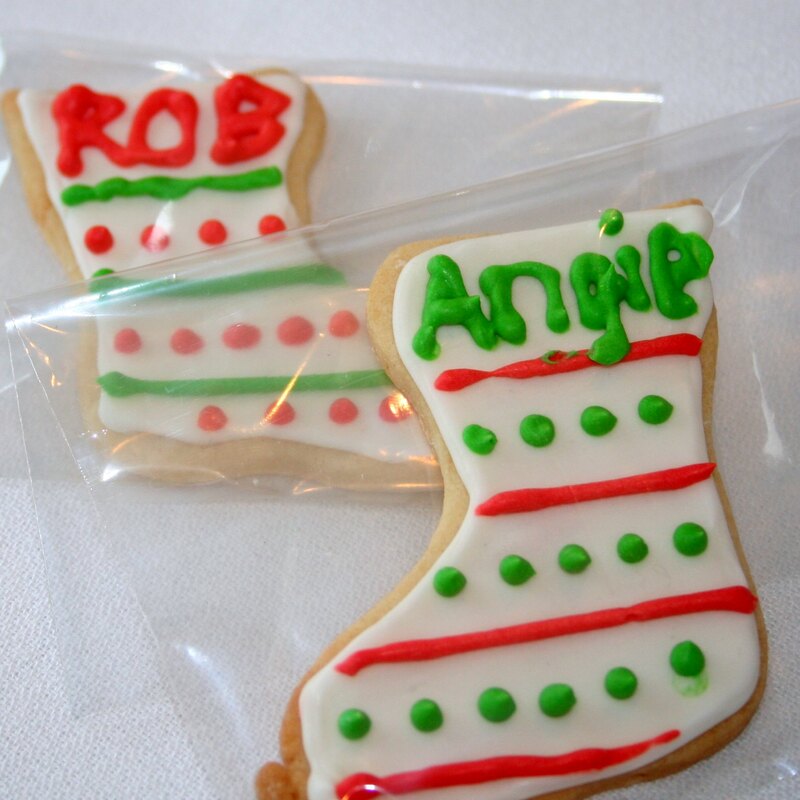 Place card sugar cookies are a great idea. Those are so adorable. What a wonderful, yummy idea. Great job with the royal icing!